I want to thank everyone who has shared their testing results this last week. Results have been coming in, and new horses are being sent for testing. Meanwhile, I have been slowly updating the lists on the Splash Project Page as I get the information. 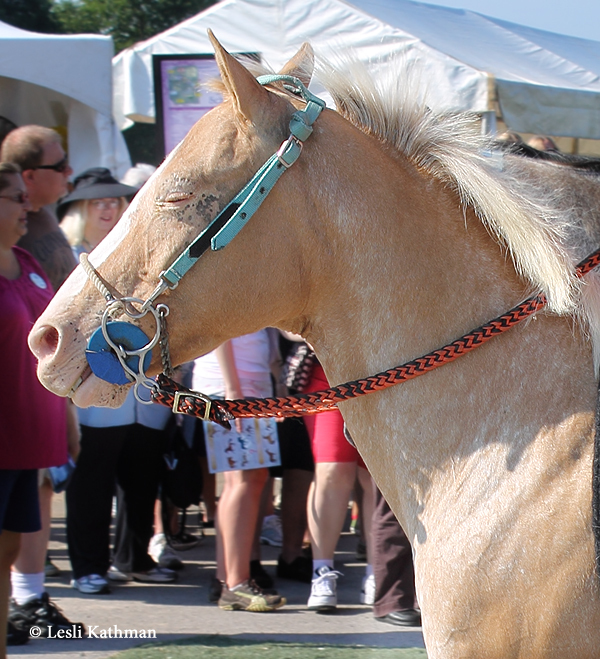 You’ll see a lot of horses have been added, including homozygous, heterozygous and negative tests. The only thing we are missing at this point is any horses that have tested for SW2 or SW3, so those remain a mystery for the moment. Some of the first test results from the new Splash White tests have started trickling in, and they are proving really interesting. I hope to update the Splash Project page over the weekend, but here is some of what we have learned so far. As far as I am aware, those horses that have tested positive have all had the SW1 gene. That means the exact nature of the other two versions (SW2 and SW3) is still a mystery. So far, with really limited results, it does look like in identifying SW1 researchers may have found the gene responsible for Classic Splash. That was the pattern originally described by Klemola in the 1930s. Even more exciting is that the one horse known to have tested as homozygous does have the classic pattern. That horse can be seen at the bottom of the first post on this forum. Another interesting horse in that group is the homozgyous tobiano. There had been rumors that the KIT gene had been ruled out as a location for Splash White. I had explained why the KIT location was important in limiting the number of color mutations in this previous post, “Location Matters.” If the general rule that was explained there – that a horse should only have two mutations on any given gene – holds true, then finding a horse carrying two KIT mutations and splash white should tells us that splash white is not on KIT. The two tobiano genes would already take the two KIT slots. 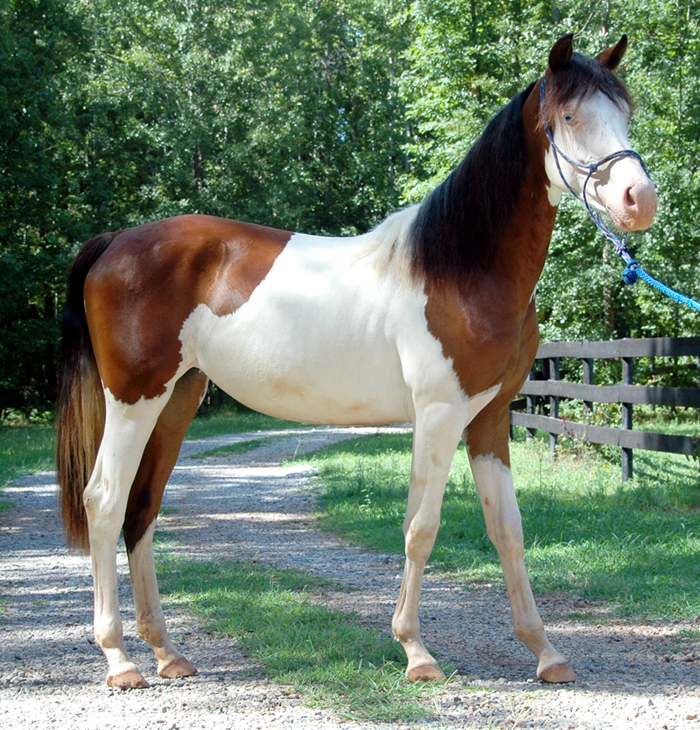 It is my understanding that there have been at least two horses tested as homozygous for tobiano that also have the Splash White gene. That opens the door to the idea that there may be a lot more tobianos out there carrying SW1 than we might have previously expected, because it isn’t an either/or situation. 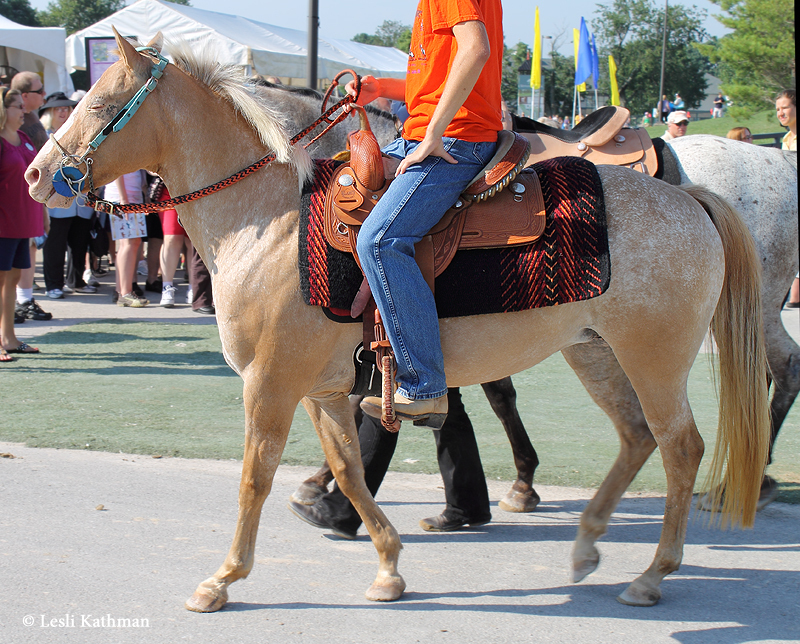 A horse could carry and pass along both patterns. What is also interesting is that tobiano has a way it sometimes skews that creates a dark patch with an odd “point” that drops from the croup. Some of us have long wondered if that might come from Splash, and now a horse with that kind of pattern has tested to be a carrier. It will be interesting to see if more horses with that kind of “point” also test positive, especially those that do not have such splash-like facial markings. The other big news out of the early results is that there are horses that are coming back with blue eyes that test negative for all three of the Splash genes. It is really too early to know exactly what that means. Obviously more things cause blue eyes than just Classic Splash because they found those two other genes. It may be that there are still more versions, or it may be that one of the many yet-to-be-identified sabino patterns are involved. What we can say is that blue eyes are not caused by just one or two things. The situation is more complex than that. But then if pinto tests have told us anything, it is that it is all more complex than anyone originally thought! The blog has gotten a big influx of subscribers in the last week, so I wanted to send out a welcome to everyone who has joined the conversation. Because that is how I see this blog – as a conversation – please feel free to comment on the posts. I have been battling a nasty head-cold these last few weeks, so I am a little behind both on private replies and posts, but I am always interested in hearing what others have to say. Many times it is questions that are sent that serve as a jumping-point for later posts. The upcoming week should be an exciting one, since the first of the Splash White test results should start coming in. I will be updating the Splash White Project page over the weekend, since there are more pending horses to post, and will post the results as they are known. I also have an assortment of dog color posts lined up as well, because that is a tangent I often explore here, and another group of posts on appaloosas. Hopefully I won’t whiplash everyone too badly if the topics switch around a lot! Among those of us who follow horse color research, the reaction to the new test for Splash White is curiosity about what the results will tell us about what is and what is not Splash White and by extension, the group of patterns collectively known as sabino. One of the most helpful things will be the ability to see the range for each of the genes. How much white can a horse with one copy of SW1 have? How do they look different from a horse with two copies, if in fact that look different at all? Can a horse have one of each type, and if so what does that look like? To help figure those things out, I thought it would be useful to set up a page with photos of tested horses, and the results. WordPress allows me to add permanent “pages” to the blog, which is what I have done. You can find this by looking at the top header (white letters on green) that says “The Splash White Project”. 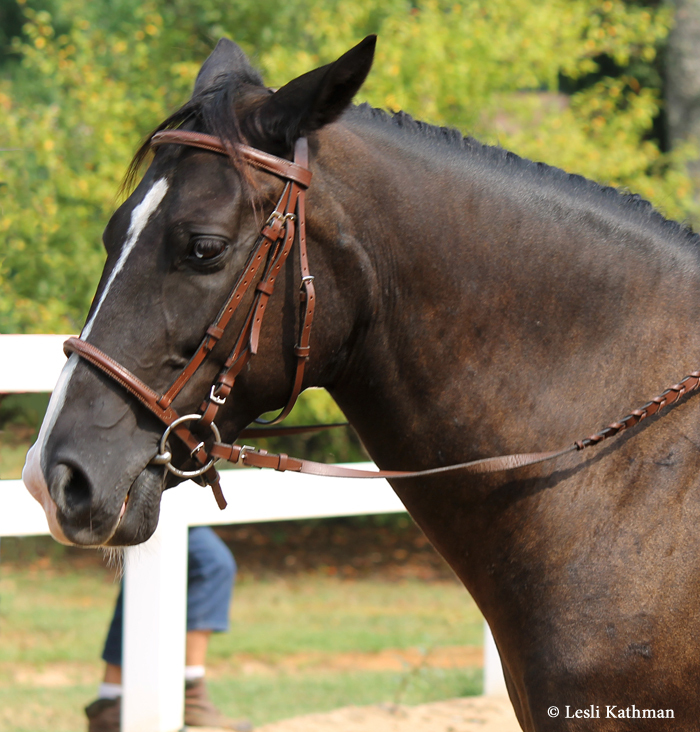 So far I have included my own mare, whose test was submitted the other day. I have another horse that I plan to collect hairs from today for submission, and once that is done he’ll go up there, too. I’ll keep track of Pending and Tested Horses. For the moment, I’ll be including horses that test negative, too. Sometimes that tells us as much as the ones that test for a color! If space becomes an issue, I can always archive horses to the website. What I need is participants! 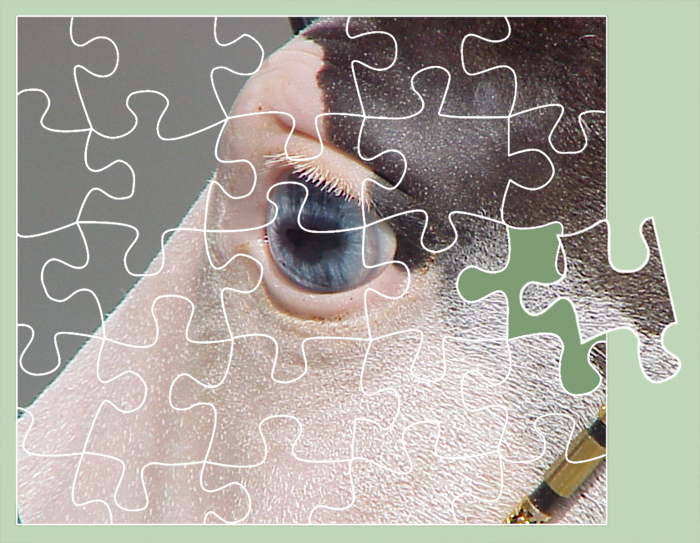 The more horses and results we assemble, the more insight we can gain. So please, if you have sent a horse for testing, reply in the comments or send me an email (contact is to the right on this page). I’ll post as many as people will submit. And feel free to spread the word, if you are involved in a breed where testing is being done. I’d love to hear from anyone with a tested horse. I waited to post this because I hoped to find more detailed information, but since that’s a little ways off, I am not going to wait any longer. There is now a genetic test for Splashed White! Actually, there are three identified genes – SW1, SW2 and SW3. The test for all three is now available from UC Davis for $25. When I spoke to someone at the lab, I was told that the study behind the test was not yet published but that the research was done by the Swiss. Needless to say, a lot of people are really anxious to see that paper! Splash has long puzzled horse color researchers, so hopefully these three tests will help resolve some of the long-standing questions. This is all really exciting to me. Splash has been the pattern I have had the strongest interest in, ever since I saw the crop-out Welsh stallion The Hot Spot in the late 1970s. Over the years, I have collected pictures and pedigrees of anything that displayed the “classic” pattern. 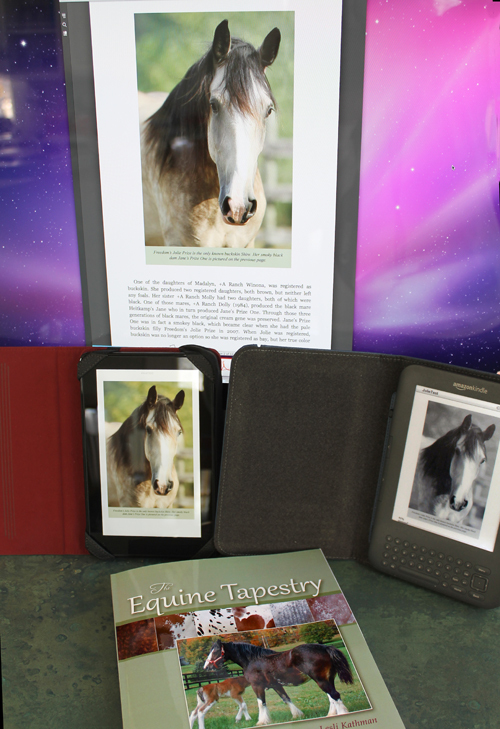 That is, the type of pattern on Journey’s Made to Order, the Morgan mare pictured above. I came to believe that horses like her were homozygous for splash, while horses with one copy of the gene didn’t actually look like pintos as most horsemen would define them. Maddie fits that pattern of inheritance very well, as her sire and dam show. I also came to believe that as the subject of horse color became more popular, and interest in identifying patterns rose, that splash was being over-identified. Or at least, some of what was being called splash didn’t fit the behavior of the original “classic” pattern. In the book, I described splash as being the “classic” pattern. I put everything else in the chapter on sabinos, making it clear that particular grouping is really just a catch-all for pinto patterns that don’t yet have a specific name. Because so much about sabino is not really known, and because the pattern varies so much, I did break it down into a handful of visual types. Two of those types I called “false-splash”. These were the horses that were getting pegged as splashes by a lot of people, but yet did not fit the pattern of inheritance I saw with the “classic” horses. The best way to describe them (without using all the illustrations in the book, that is!) is to say that one type mimics the bottom of the splash pattern, and one mimics the top. That’s really oversimplified, but with the first “false-splash” what you see is the white coming up from the bottom of the horse, often up and covering significant portions of the hindquarters. They are pretty significantly white, but their faces look like typical sabinos with the wrap-around the profile blaze, chin and jaw. They don’t seem especially prone to blue eyes. This type of patterning is seen in quite a few Clydesdales. The second “false-splash” have the right kind of very-white faces and blue eyes, and they usually have white on the legs, but the white doesn’t travel up high on the body the way it does on a classic splash. They are missing the typical body white. So needless to say, the idea that there are three splashes is very exciting, because it would be beyond cool if any of those correlated with any of my categories (classic, false1, false2). Right now, with almost no information (and no pictures), it is impossible to know. I am really hopeful that SW1, which the researchers have said is the most common, is in fact Classic Splash. The breeds given as having it all have families with the right kinds of visual patterns, as well as the right patterns of inheritance. It may be that the others look much the same, or it might be that I’ve wrongly categorized those other two types as sabino and they are SW2 and SW3. Or I might have been completely off-base and it’s something totally different! Whatever the outcome, it’s all really exciting. I’d pick being proven out in left field but finally knowing the answer over not being sure any day! I do hope that many people take advantage of the tests, and that they share the results. The more images we have of tested horses, the better we can define what the Splash patterns look like. At $25 for all three tests, it should tempt a lot of people to see what they have. Usually it is that price per test. I know I took advantage of it! Since the testing on my mare was done at UC Davis, they had her on file. With a few clicks on the website, she was submitted for the tests. I don’t have any specific reason to believe she is a splash, but with an unknown stock horse ancestry it is possible. It would certainly be humbling if I found out I was sitting here with a splash horse all along! I would also like to encourage any of the blog readers who have their horses tested for this, please share photos and results! I will be posting mine as soon as they are available. 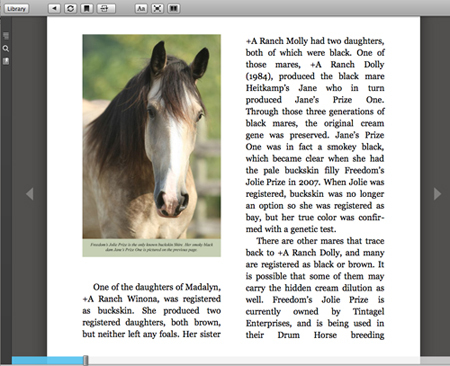 One of the reactions I often get, when I tell people that I am working on a book about horse color, is disbelief that the subject can be covered in a black and white book. That is also one of my fears, when thinking about marketing the book. I have tried to be very clear that the book is not – and was never intended to be – printed in color. That would not work well if the book was specifically about color identification. 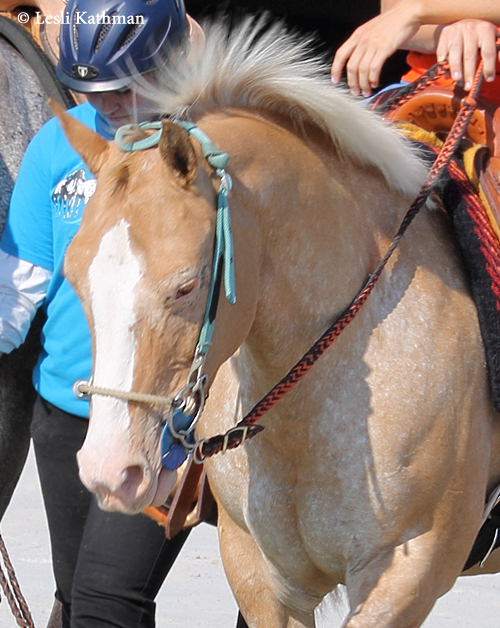 To show the subtle difference in tone between the legs of a red silver in winter coat, and a flaxen chestnut, you really need color pictures. In fact, you need faithful reproduction of really good color photos for that to work. Horse color is a popular topic among horsemen at the moment, but it is still a niche publication. That makes it well-suited to Print-on-Demand (POD), but color reproduction in that setting is unpredictable at best. But perhaps more importantly, that was not the story I wished to tell with this particular set of books. It is one I’d like to tell in the future, but these books are about the history of color in the different breeds. For that reason, a lot of the photos in the books are historical. They never were in color. In most cases, that doesn’t stop them from being useful. A silver dapple Friesian is still obviously different from the present Friesian color, even in black and white. Pattern progression and pattern variation charts, which are used extensively in the book, don’t require color either. Having written about color for decades now, often for small periodicals that did not have color capability, I knew it could work. I wasn’t really concerned about the lack of color affecting my ability to communicate the ideas in the book, but I was concerned about expectations. People expect a book about color to be in color. For that reason I looked at a number of ways to use technology to include color images. Several people suggested including a CD-ROM with color versions of the images. That was not an option if I planned to depend on the POD company for distribution. Publishing a color PDF presented the same problem. Because I intend to return to my much-neglected ceramic work when the book is truly finished, having another company handle fulfillment was non-negotiable. I wanted readers to be able to order the book, and have it in their hands, while I sat in my studio cleaning greenware. That is where the quandary of what to do about those that really wanted color sat, at least until recently. I didn’t have an answer for that problem, but I decided last summer that there would definitely be an e-book version. While I am at heart a paper book person, having a Kindle has made me a believer in those, too. Soon after I began typesetting the paper book, I began working on a second format so that the information in the print book (most notably the charts and illustrations) worked equally well in the electronic version. As I mentioned in this previous post (Adventures in Self-Publishing), in many ways that has proven easier than the traditional paper version. And that brings me back to the picture at the top of this post. As I had speculated back then, a color Kindle is now a reality. Behind the paper copy proof are my original Kindle, with its black and white e-ink, and the Kindle Fire that I recently received for my birthday. The release of the Kindle Fire suddenly made a color edition not only possible, but downright easy. But perhaps even better, there is now a Kindle application for both the PC and the Mac. That’s the image on my Macintosh screen behind the two Kindles. Now you don’t even have to have a Kindle to read an e-book in that format. You can just download the free application (PC/Mac). 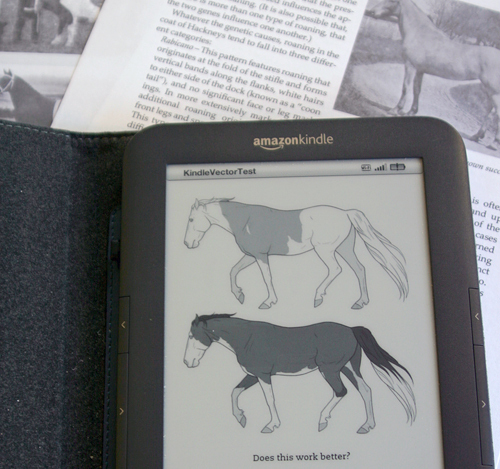 Like the actual Kindle, and unlike a PDF file, it has the adjustable text. Here is the same page with different background settings – white, black or sepia. The size of the text is adjustable, as is the line spacing. There are also options that aren’t found on the Fire itself. You can set the book into two columns, for instance. You can also stretch the image area to be as wide or as narrow as you like, and the text follows just like it would for a website. It might not be a full-color book, but it appears to be a good solution until color printing becomes more reliable. So while the kinks get worked out with printing the paper book, I am working on formatting the electronic version. The only question now is which will be completed first!